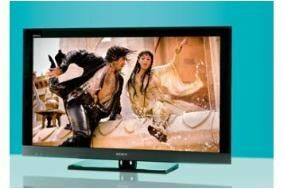 HOT DEALS: Marks & Spencer 'technology event' offers TV and Blu-ray discounts | What Hi-Fi? It's made them more competitive on some products, such as the Sony BDP-S570 3D Blu-ray player which is reduced to £183 (Amazon price is £180). Other M&S deals include the Panasonic DMP-BD45 at £120, Sony BDP-S470 £160, Samsung BD-C5500 £128, Panasonic DMP-BD65 £136 and Samsung BD-C6900 3D model at £280. There's also 20% off the Award-winning Sony BDV-E300 Blu-ray in a box system, down to £399, or the Sony BDV-E670W at £479. As for TVs, you can pick up an Award-winning Sony KDL-40EX503 for £599, or a Panasonic TX-L32D28BS Freesat HD LCD/LED model for £665. These and more deals are on the Marks & Spencer website.